Some of his drawings appear in The Motor in 1920 and later on in the mid 1920’s his work often appears in The Light Car and Cyclecar. From the frequency of the work it can be assumed he was a staff artist with Light Car and Cyclecar. 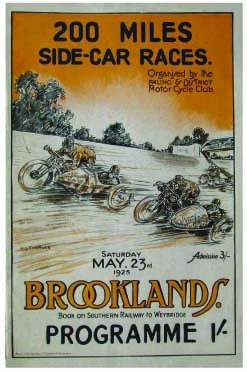 Also produced front cover design for a Brooklands motorcycle programme in 1925.